Our Visit to Damariscotta Mills Fish Ladder – Maine. Ocean. Camping. I’ve been traveling from upstate New York to visit Searsport Shores for many years. Now I live right down the road in Belfast and have fun helping out at the campground! To learn more about my new home on the Maine Coast I enrolled in a wonderful program. Penobscot Bay Stewards was created by the Belfast Bay Watershed Coalition, each May new stewards travel to many sites in and around Penobscot bay to learn about the history, culture, environment of the bay. This week we traveled to Damariscotta Mills Fish Ladder to learn about the Alewive run (not to be confused with the glass eels called elvers which are running now too). What are Alewives?? I had never heard of them! The stewards learned how important Alewives are to the food chain and overall health of the ecosystem of the bay and beyond! 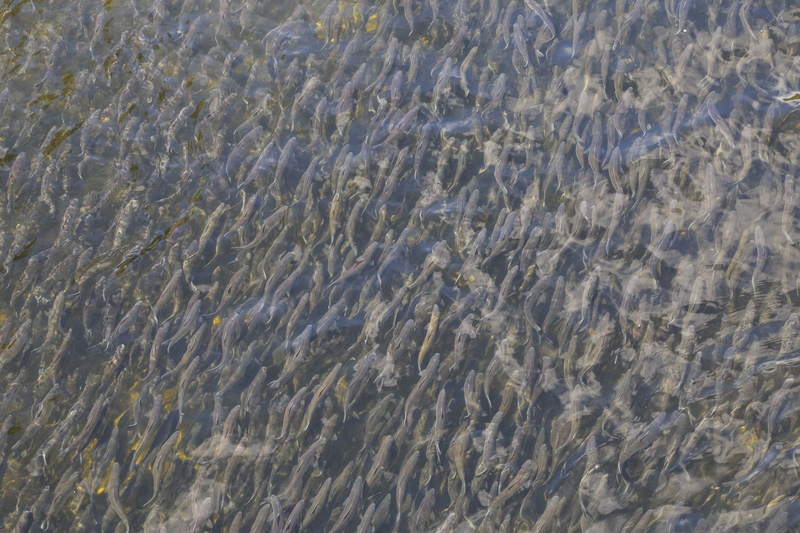 A member of the Herring family, Alewives migrate from the ocean each spring to spawn in lakes. 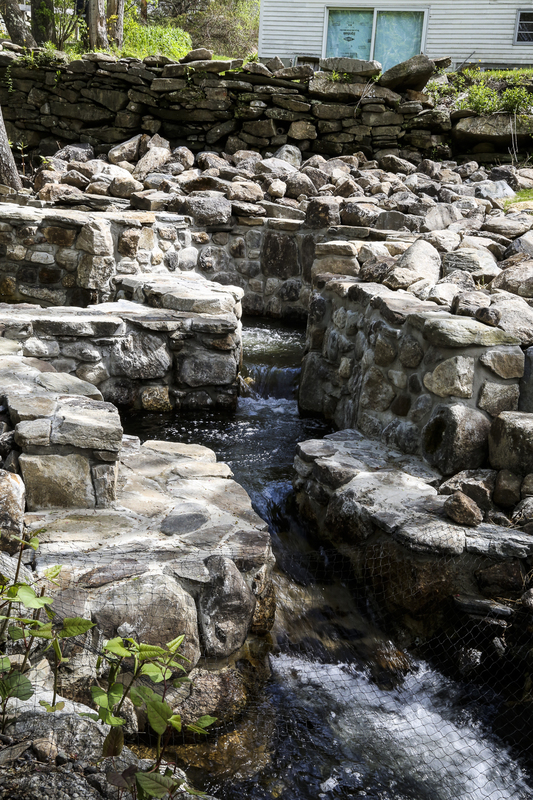 Damariscotta has maintained a fish ladder to help them accomplish their journey in spite of dams that have powered mills since the early European settlements. 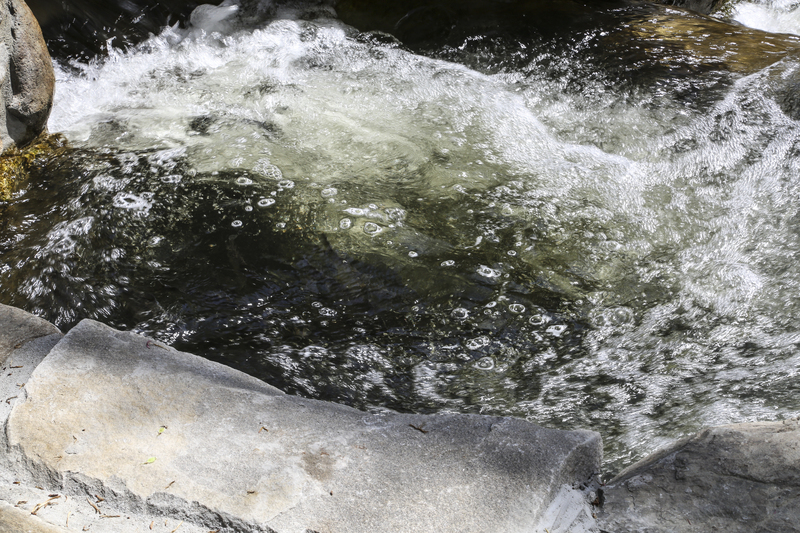 A recent effort to completely restore the fish ladders has just been finished and the Alewives are running! WHAT A HOOT! Damariscotta is a great day trip from “The Shores” if you’re looking for something different to do in Mid-coast Maine.